Sporting events, holiday parties, social gatherings or business meetings, Vanellis is pleased to offer you a wide range of catering choices! Please call your closest Vanellis location for a complete list of items and prices. We will be glad to answer your needs. Bring fresh Italian flavour to your next event easily and let us take care of the details. 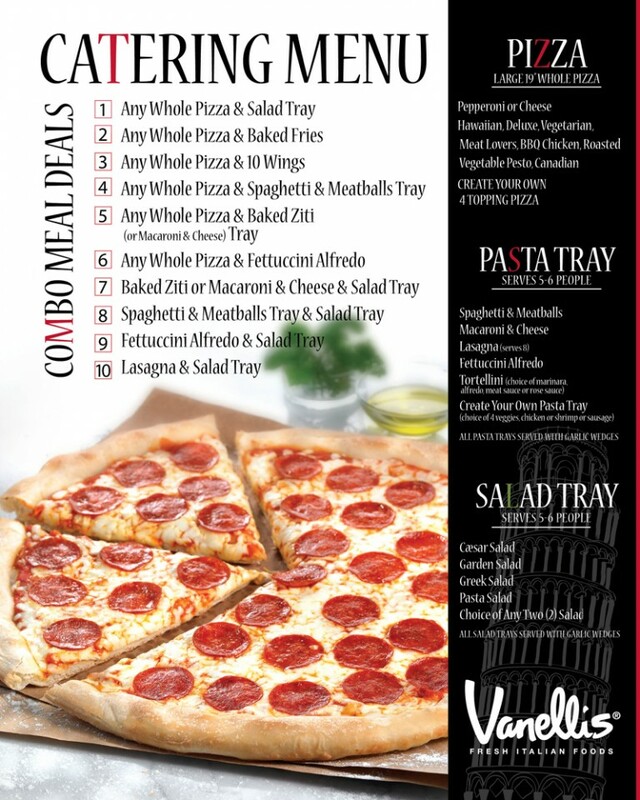 Let Vanellis cater your school’s Pizza Day lunch program! We would be happy to provide your school with our pizzas, created with our signature crust, specially blended tomato sauce, and premium toppings. We are happy to discuss your school’s needs. Share our homestyle, Italian comfort with your students and contact your local Vanellis location for pricing and more information.